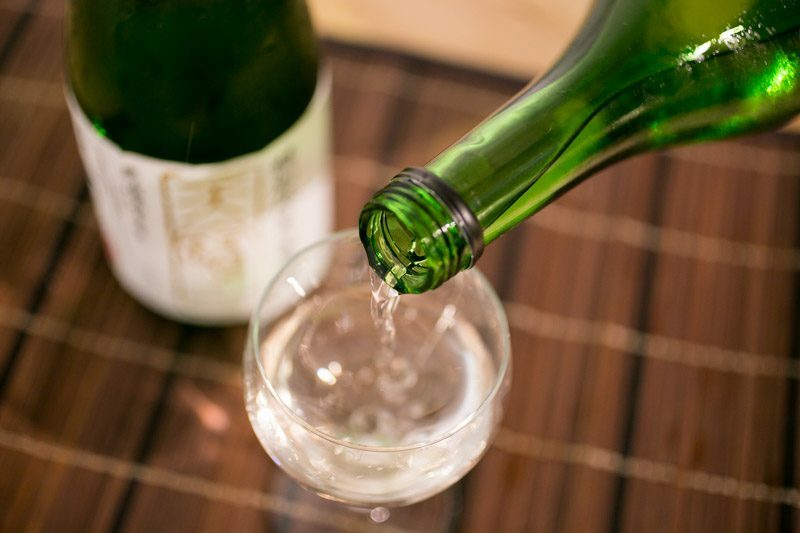 Sake 酒, an alcohol that is made from fermented rice that has been polished, has many health benefits. We’re talking about sake’s abilities to reduce the probability of cancer due to its amino acids or to slow down ageing, osteoporosis and the list goes on. I mean, an alcohol that does good? I’m on it. Rejoice all you sake enthusiasts, for there’s now something as wonderful as a monthly sake subscription in Singapore by Sakemaru, which promises to continuously excite you and deliver the most intriguing sakes you’ll probably ever encounter right to your door step. 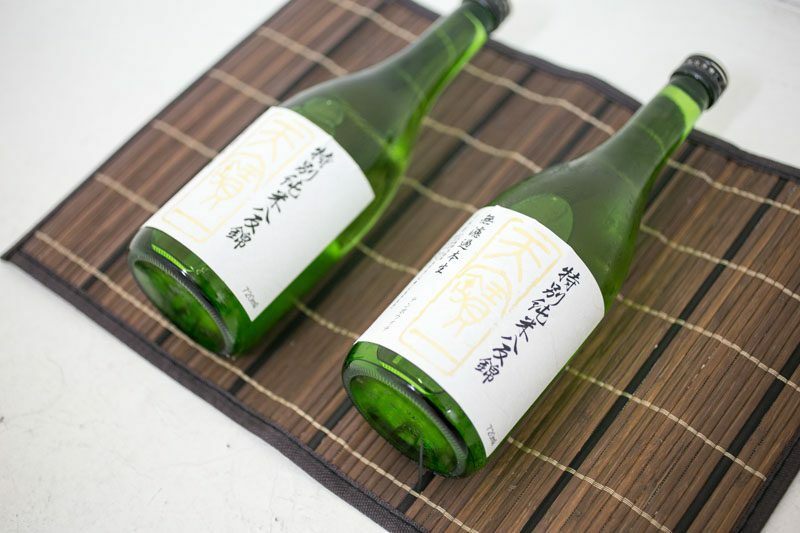 We recently received a sake delivery from Sakemaru and here’s our top five reasons why you should jump onto this sake subscription bandwagon. I know many of you out there will agree with me on how if possible, as little energy should be expended. Better yet, have everything you need just within your reach. So here’s where a sake subscription comes into the picture perfectly for all you alcoholic souls. Hear ye comrades, you do not have to leave your house and make that arduous journey to the specialty sake liquor store to get yourself that bottle of desired sake. With Sakemaru’s monthly subscription, everything will be delivered right to your doorstep at your convenience. 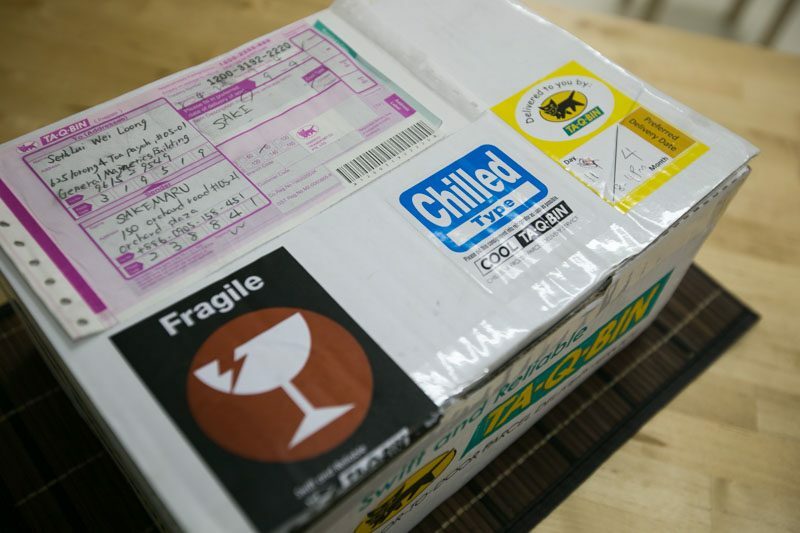 It sake even arrived chilled already. The only thing you really have to do is to throw on some clothes to receive your sake at the door, the rest is up to you. For first timers, there is a 50% off for the first months’s delivery and that’s definitely a steal when we are talking about premium monthly sake. And when I say specially curated, I really mean rare sakes, like the nama sake and yes, they are seasonal and limited. Prices start around $50 for one sake delivered each month (before discount), and if you buy a longer term or more bottles, it gets cheaper with economies of scale. Pair that off with fuss free delivery, there’s nothing stopping you really – With the monthly package, you can stop anytime you want. No idea how to pick a good sake? All the sakes that are sent over monthly for your subscription will be picked out by in-house sake sommeliers who are of course, liaising directly with the Japanese distilleries. And simply because of that, you can be guaranteed only the best of the best seasonal sakes. Let’s be real, we all know that the Japanese are extra meticulous when it comes to quality and precision, so yes, you are damn well in good hands. So kick back, relax and enjoy your quality sakes. 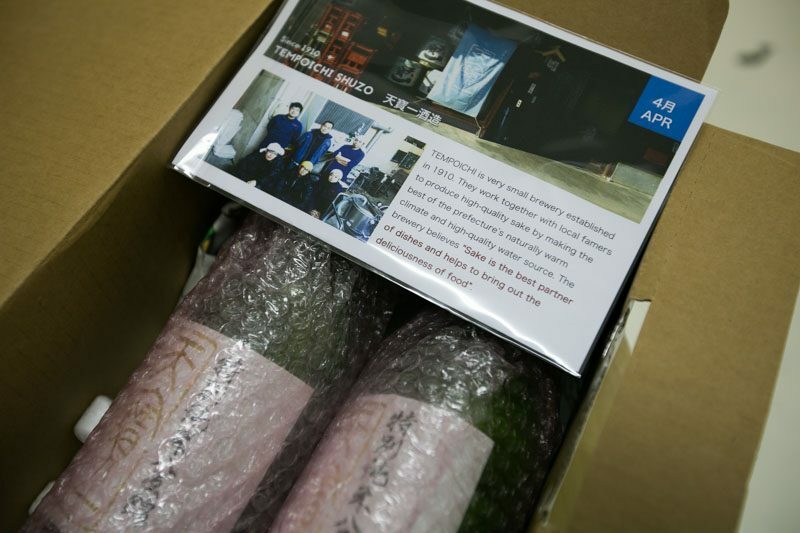 With each sake that arrives in a box, comes with it a little pamphlet that gives you information on the tasting notes, distillery information and recommended drinking temperature. This way, you get to learn more about the sake you are drinking and further your passion for sakes. 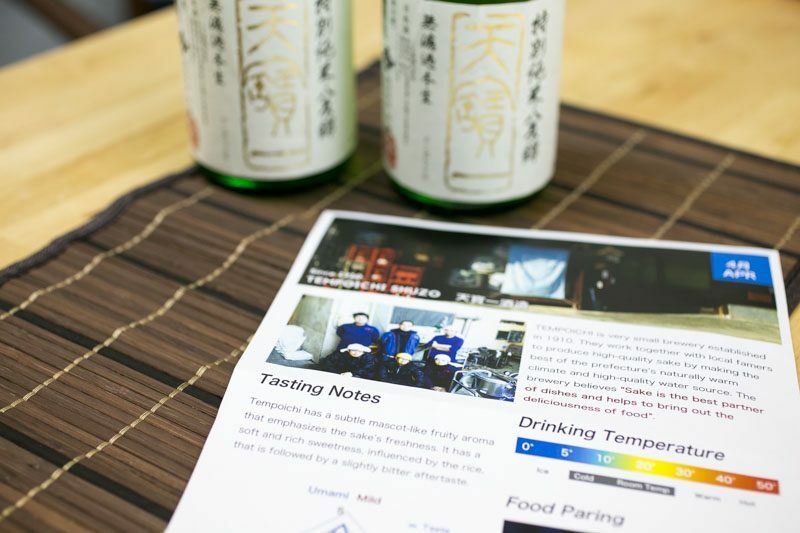 You can now impress your friends with your sake knowledge because you’re cool like that. With a sake subscription, you’ll get to experience a great variety of curated sakes each month from indie Japanese distilleries you probably would never have heard of. Sakemaru understands the beauty in recognising the lesser known breweries that have more character and are loved by locals because these are the breweries that live by their strict philosophies. Committed to brewing high quality sakes, you can get acquainted with these small select of breweries through a sake subscription and get a real taste of rustic Japan, not the usual commercial brands sold at bars really. Convenience and quality is what you’ll get with Sakemaru’s sake subscription and that’s really all that matters. If you subscribe for sakes from sakemaru, you might also get one of their special aged sakes; These aged sakes are matured in a special Snow Dorm Cellar, a traditional sealed cold cellar which has no vibration from electricity nor light and a high humidity, thus producing aged sakes that tend to be sweeter and milder than fresh ones. If you’re still on the fence about getting your own subscription, get S$15 off your first month’s subscription using our unique promo link! Use our link to get $15 off your subscription. 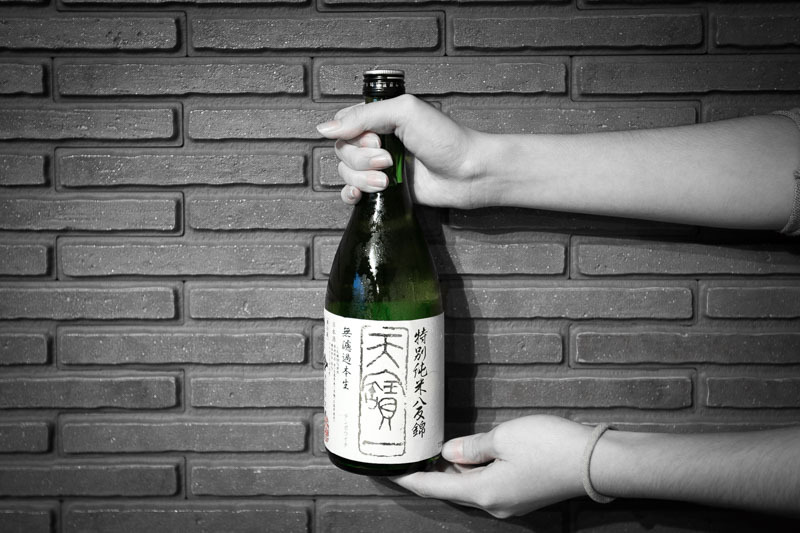 Check out Sakemaru now to learn more about their sake subscription package.